There are several summer workshops for undergraduate students in philosophy, lasting from two days to over a week. These programs operate independently, but they all share a passion for philosophy and aim to support undergraduates in their pursuit of further education. This page contains information about general undergraduate programs in philosophy. For a list of institutes that focus specifically on mentoring students from underrepresented identities in philosophy, please see the APA page on Undergraduate Diversity Institutes in Philosophy. The information below is updated regularly, but be sure to consult the websites of the individual programs for the most up-to-date information. The 2019 application was due January 28, 2019. About the Institute: The HCSPiP will be an exciting and intense philosophical experience. In addition to attending all three classes every day, Monday through Friday, students are expected to prepare for those classes, both before the summer school and during the two weeks they are on campus. In addition to the three courses, the HCSPiP is arranging for at least one visiting speaker, a day trip to the Adirondacks, and a July 4 celebration. To participate actively and take advantage of the opportunity, students must have exceptional intrinsic motivation for philosophical work. No college credit is awarded. We have room for ten Hamilton College students and ten students from other colleges or universities. There is no tuition for the HCSPiP. Room and board will be provided. In addition, students who attend the summer school will receive a $750 stipend, plus up to $500 reimbursement for travel. 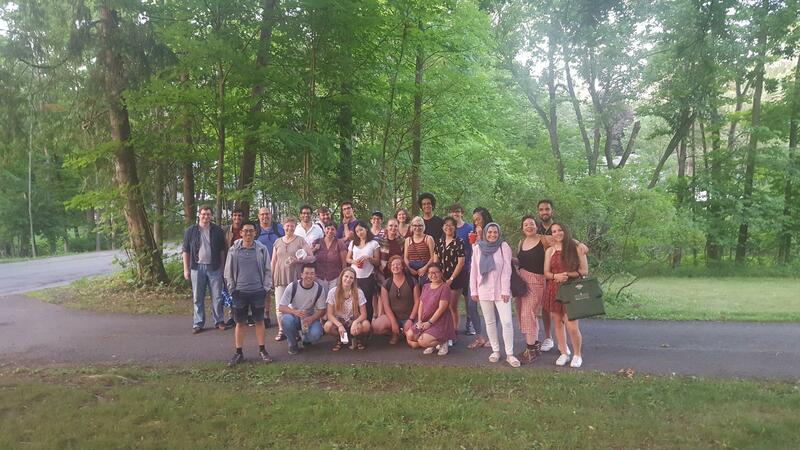 Unlike other philosophy summer programs, the HCSPiP is designed not mainly to prepare students for graduate work, but to explore new ways to teach and learn philosophy. Instructors are all committed to active, student-centered learning. The classes may not feel like philosophy classes to which you may have become accustomed! Application Information: Applications are now open for the 2019 summer program. There is no application form. Review of applications will begin on March 1, 2019 and continue until all available positions are filled. Applicants should provide the following: (1) A cover letter including your name, mailing address, email address, and an account of who you are and why you are interested in the program, (2) A letter of recommendation from someone who has taught you philosophy. The letter should address the quality of your contributions to class discussion and your ability to interact respectfully and productively with other students as well as the quality of your written work for the class, (3) A copy of your college transcript. (An unofficial copy is fine. )A short philosophical essay. (Ordinarily, it should be something written for a class.) Electronic submission of materials is strongly preferred. Applicants should send the cover letter, transcript and essay in pdf or Word format to the Director of the Seminar, David Boonin, at david.boonin@colorado.edu and should have the person writing their letter of recommendation send their letter directly to this address. It is the applicant’s responsibility to confirm that the letter writer has submitted their letter. About the Institute: The Colorado Summer Seminar in Philosophy is intended for outstanding advanced undergraduates who are considering graduate school in philosophy. The aim is to introduce students to the atmosphere of a graduate-level seminar, giving them a chance to explore their philosophical abilities and interests before they commit to a graduate program. The topic for the 2019 Summer Seminar is “Freedom”. The seminar will cover a wide variety of topics in the history of philosophy, metaphysics and epistemology, and values. It will be team taught by twelve or more faculty members. Application Information: The Summer CUSP application is due April 1, 2019. Please refer to the "Promoting Young Philosophers" page to ensure you are eligible for the program. About the Institute: Each year CUSP (Cultivating Underrepresented Students in Philosophy) organizes two all-expense paid workshops held at Penn State. They are directed toward prospective graduate students in philosophy from traditionally underrepresented groups (including African Americans, Chicano/as and Latino/as, Native Americans, and Asian Americans. During their visit to campus, students will be exposed to the life of philosophy and to the discipline of philosophy by attending classes, speaking with graduate students and faculty, and investigating what it means to pursue a graduate degree in one of the most diverse departments in the country. They will also receive individual mentoring designed to develop the skill sets necessary to excel in philosophy.